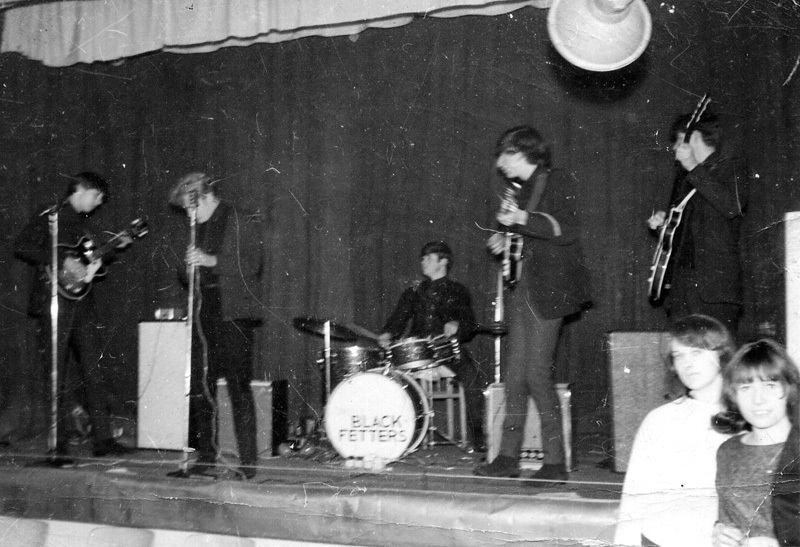 The Black Fetters were a Cleckheaton group who were rivals to the Icebergs, the Fetter’s were started by Stephen Hall, Ralph Sheperd and Donald Richerdson at Whitcliffe Mount grammar school, Neil Crowsdale was recruited after being overheard singing in the showers after rugby, they were Whitcliffe Mount’s first ever group.The first drummer( aka bum-ching) because of his one beat fits all drum-style was replaced ( even after a audition ) by the younger and exceptionally talented Kenny Fox. 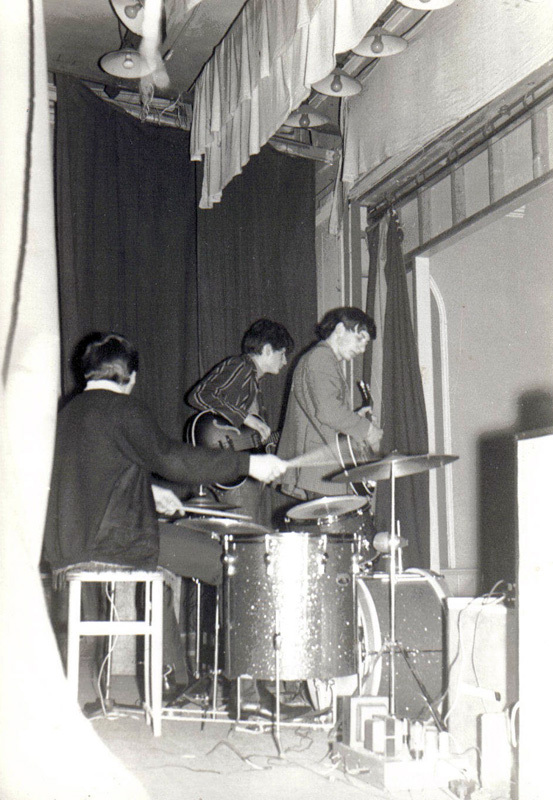 The group played a mixture of rhythm and blues, Chuck Berry, Bo Diddly and early 60s hits by groups such as The Beatles, Merseybeats, Searchers, and the Yardbirds in prestigious venues such as Scholes primary school. Lower Wyke Moravian church Hall. Halifax Polish ex servicemens club. they also played the local working men’s clubs. The nearest they came to an outdoor festival was playing The Kenmore Cheshire Home’s garden fate, notable for the lead guitarist throwing a a ball at a coconut shy which cleared the safety netting and felled a innocent female bystander many yards away thankfully there was no harm done. 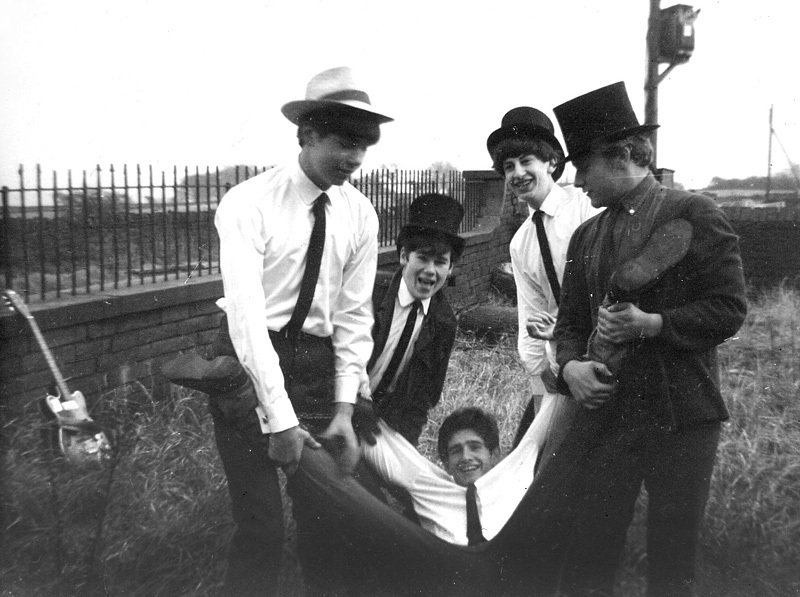 Ken recalls a memorable gig when his drum kit fell apart at Low Moor wmc, and a time when the rest of the band left him playing a drum solo whilst they all went to the pub, he also recalls playing alongside The Icebergs at Providence Chapel ( Now The Akash, the biggest curry house in the north ). Sadly Ken lost touch with the rest of the group when they left school to go to uni, the exception being that Don Richardson managed to locate Ken through friends united and they had a memorable reunion in North West Scotland where Don who is now retired had been a teacher. He sometimes still plays acoustic bass, banjo and guitar with a ceilidh band and one of his daughters carries forward his talent as an established singer- songwriter and is a vocalist with a classic covers band, Ken Fox eventually joined Museum and now lives in Exeter, also Ken was related to the great Ken Macintosh the band leader, also from Cleckheaton.